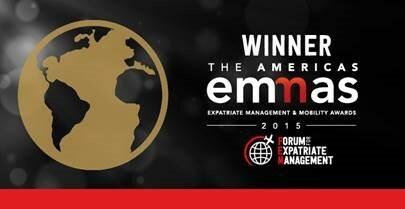 For excellence in the field of international relocations, Allied Van Lines has been honored as the Forum for Expatriate Management’s 2015 International Moving Company of the Year. Awarded at this year’s Expatriate Management & Mobility Award show, the prestigious mover beat out stiff competition from UniGroup Relocation and Atlas International. As an agent of Allied Van Lines, O’Brien’s Moving & Storage is proud to have contributed to this victory. We go above and beyond to handle each international location the Allied way, providing our valued customers with a dedicated point of contact to guide them throughout the journey. This individual is there to answer all of the customer’s questions, guide them toward the best services and ensure everything goes according to plan. Additionally, we use only the finest containers to ship materials overseas. From pre-made boxes built for long-distance shipping to custom-made crates for more sensitive items, we use only use the best. Allied also goes above and beyond to provide us and its other 500 agents with the most advanced satellite technology in existence. Because of this, we can give our clients the power to check in on the belongings at all times, giving them peace of mind throughout the transition. To ensure Allied continuously receives this honor year after year, the team at O’Brien’s Moving and Storage will continue to provide people with the international moving services that has made our partner a household name. We would like to congratulate them and our fellow agents for this win and will work hard to be in this position again next year. Discover why Allied Van Lines is 2015’s International Moving Company of the Year by letting the talented relocation experts at O’Brien’s handle your cross-border or overseas transition. Before the first box is touched, they will survey your items and generate an estimate of costs. Call now or fill out our online form to receive your free quote today!